This recommendation gets one or two more stars in quality since the patients has been suffering with terrible nerve pain for a long time. A couple things you might want to keep in your bag of tricks if ever you run into another person like me, who has done everything and tried it all.....and still had pain that is impacting their life. Also, a person who doesn’t do well with pills. I bought 3 new shoes which have helped with the comfort and pain a lot. The brand is ABEO and they are available at the WalkingCompany. There is one on College in Berkeley and many elsewhere. They have a squishy but moldable footbed and have been a godsend. I went back and bought these....which I am walking the dog in pretty well. http://www.thewalkingcompany.com/abeo-capistrano-neutral-grey/25431 I still use my tennis shoes and your HANDMADE WITH CARE orthotics for my Reservoir adventures. Male, early 40s and I take exception with opinions above steering people away from certain treatment. I started in orthotics for a while, then bilateral chielectomy in 1999 for Hallux Limitus, eventually progressed to minor Hallux Rigidus. Again, chielectomy got me by for 2 years before little was left for joint space, along with arthritic bone surfaces. Tried arthroplasty on left instead of fusion. It failed due to quick return to arthritic bone surface that shredded the tissue. Fused shortly after, then once that was stable enough, fused the right at the end of 2012. This year I've had a sesamoid removed in the right, opted to increase the angle of the fusion in left due to some hip/back pain and general discomfort of the toe in shoes. I'm weaning out of the walking boot now, but showing signs of sesamoiditis already. My guess is I'll just have that removed and not drag out the process any further. I've had 9 surgeries, and I will state with extreme confidence that if you take the usual 7-10 initial days of recovery IN BED with foot up, you'll be far better off. Toughing it out or playing hero by going back to work in 3 days, slows healing and greatly increases risk of infection and injury of vulnerable foot... won't fool your doc at all either. They know when you push it. I was a U.S. Marine... I can push myself physically and mentally. But I know enough NOT to push. What's the benefit of pushing? None... except maybe to your employer. It's NEVER acceptable for your health to be less than top priority for you and even your employer when you end up in surgery again... less productivity long-term, etc. Of the 7 my current surgeon has done, he called me out on #4. I went back to work at 6 days, 3 days sooner than any other and he knew it before I said a word. I have no hesitation about surgery if needed. I have a fantastic surgeon, ask every question I can think of and accept answers I may not want to hear. Consider your situation honestly and do what is recommended by the doctors. The recommendations aren't guesswork. Oh, and shoes are often a question here, as well. For me, hands-down, New Balance with plenty of width. Do not skimp on width! You'll get used to and treasure it very quickly. Even then, the exact same model/size can differ between pairs. Finding what works consistently does take time, and likely won't be a $29 pair of cheapo shoes. Pain relief is worth time and money for me, though. The local New Balance store lets me mix and match from boxes of same size/model and gives me 7 days to walk in them because they know I'll be back next time. Even a 1/8" tilt difference due to slight tweak during manufacturing of two otherwise identical shoes makes all the difference in knee/hip/back soreness. As shoes age, they stretch in different places, as well. Do not discount this aspect of your treatment and recovery... you do so at your peril. I'm a lurker, but a fan, Dr. Blake... keep up the great work, and your participation in discussions here is valued far more than you realize! Without it, the site is just a place for you to opine and others to talk about you, usually in the negative, benefiting nobody. Because of your willingness to be involved, I have sent two your way, one a happy cured patient, the other currnet and they are very pleased, as well. I'm all the way over here in Northern Virginia but found you while researching plantar plate tears. I think I might have one near my 4th metatarsal. I injured my right foot 8 weeks ago, was horribly misdiagnosed by a "top" ortho-foot surgeon here and am now looking for someone who can help me figure out what's really going on. Do you do consults with non-local patients? Dr Blake's comment: I have provided email/mail consultations, and I am happy to review things for you. The distance is always a problem, and I never feel that I am really doing a good job in this area. I am my own worse critic however. It is so important to find someone closer to you that you trust. You can check the AAPSM website for qualified sports medicine podiatrists nearer you. I have X-rays, no MRI yet but can get it. Dr Blake's comment: This is definitely an MRI diagnosis!! I can not put any weight on my foot at all without pain. I can not walk or drive. Dr Blake's comment: This is not unusual for undiagnosed plantar plate tears, metatarsal stress fractures, etc. Get that MRI. Please purchase an Anklizer Removable Boot and EvenUp and start creating that pain free environment. Ice for 10 minutes 3 times a day if you can tolerate the cold. Should feel better. I'm 39, very active (lifting, dancing, lots of walking, biking, etc). I will do whatever it takes to walk without pain again. Thanks for reading this and thank you SO MUCH for this blog. It's helped me stave off some seriously depressing thoughts in the middle of the night!! Dr Blake's comment: Thank you. I have RA which have mostly affected my knees. I had a synovectomy on my left knee and do not have full extension or flexion in either. I saw my knee doctor today and asked if seeing a podiatrist for some shoe/ feet advice would be a good idea. He said yes. My questions: would orthotics help my situation, I'm somewhat flat footed and knock kneed as well (awesome right?) I would like to be able to walk 30 minutes a day for exercise but have found in the past that I get foot pain. I know this is mostly due to my awkward gait caused by knee issues. Dr Blake's comment: Definitely, I always recommend trying to make patients more stable. The health provider whom designs the orthotics will have to decide on full foot correction only, full knee correction, or a compromise between the 2. Sometimes I will make one version, see how it works, and then rework if the foot or knee is not getting the relief I want. Are there certain brands of shoes you can recommend? Especially for walking but casual shoes as well. Dr Blake's comment: Typically, I start with a bigger more supportive orthotic that works in SAS, Brooks Addiction Walker or Asics 2170 type shoe. Then, if this works, I can make a more scaled down version sacrificing some support for shoe fit. I've tried the as seen on tv inserts, happy feet, none of those seem to help, in fact I think they hurt. I feel like a soft but firm support would be awesome, but what do I know. I would be so stoked if you respond to this and more them willing to come see you if you think you ca offer me some help and direction. I hope you're having a great day/evening and thank you for your time. First, thank you so much for being available for patients and allowing patients to contact you with all their concerns. I feel so much at ease simply knowing the fact that I will be heard! Here's a brief history of my sesamoid injury. Last year in May 2012, I had missed a step while climbing up a staircase and because of that I hit my right foot on the edge of this sharp step. However, that entire day I walked around bearing the pain and only a day later I found out about the fracture on my sesamoid bone. 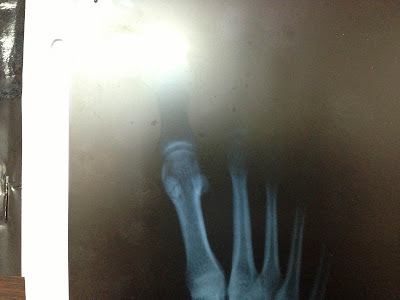 Photo-1 (attached) shows my fracture. The fracture line is clearly seen in the medial or tibial sesamoid. My doctor asked me to take care and wear good shoes and also gave me some oral medication. I went regularly..And by August 2012, he said I am all good now since I experienced no more pain on the area under my foot. So I got back to wearing slippers, trendy sandals n high-heeled shoes, walking barefoot at home, gym-ing, running etc. However, there were sometimes when I noticed some discomfort but it didn't last too long and so I forgot all about it. It was only two days back (Sept-2013, a year later) that I noticed some weird pain and I got concerned since its been a year and I still notice discomfort there. So i got an Xray done (Attached: Photo-2) and I was taken aback when I saw that the sesamoid bone is in two separate pieces now. I went to the same doctor and he said he'd have to put me on a 3-week medication (since i'm leaving for a trip next tuesday) and he said we'll check how you are once you get back. Else we'll have to get it operated (removed). Here the sesamoid fracture appears widened. The first and second x rays are 15 months or so apart and there has been relatively little pain in this. Now Dr. Blake, I'm concerned. I don't feel good knowing the fact that I'm going to be walking around with a broken bone in my foot. What do i do? Can the bone ever get healed without having to remove it? And am i placed with a certain level of disability for life? Please give me your advise on this since I'm leaving on a trip as well and I'd be exploring places on foot! Now I'm very worried about having a fun trip and a walk-stress-free life ahead! First of all, x rays are the worse form of followup on these problems. The bone can look irregular due to increased water content across the fracture, but internally can be really solid. So, relax for now. If you read all my blog posts on sesamoid injuries you will realize you have a lot you can do to help your self. Here are my suggestions to work on over the next 4 months. #9 Use common sense in avoiding activities you know will bother you. Thank you so much, Dr. Blake! Your responses have helped me understand my situation better! In fact I feel a lot better, too. I will keep all those points in check. As of this Tuesday, I'm leaving for Europe and I plan to get myself good shoes first and get regular with all the other points. I have been following your posts for months now. Hope you can help in even giving me direction and whether seeing you or a different kind of doc would be best next step. Out of the blue in Jan., I noticed a constant nagging sensation like my sock was uneven on bottom of left foot/big toe and irritating it. When I took off sock, the foot was bright red, swollen and painful to touch esp. in the metatarsal area and more so on middle joint of big toe. There also seem to be a lump on that joint and when I even lightly touched it, would send a radiating pain up my leg, into my back and up the right side into my neck. Dr Blake's comment: You are talking about the femoral nerve which has a branch to the big toe and can radiate like that. I am assuming that something from that joint irritated the nerve causing the nervous system breakdown. And once the pain was activated, my entire central nervous system went into hyper gear and it was impossible for me to bring it down -- with many different supplements, topicals, even meditation, etc. The other piece that went hand in hand were areas on ball of foot and around the big and second toe that were blue and even pieces of vein protruding that were the most painful areas. Dr Blake's comment: This is sounding like RSD, which stands for Reflex Sympathetic Dystrophy. Most of the acute symptoms have improved or disappeared since then although still some lingering issues that prevent me from going on a walk or doing even simple activities. Dr Blake's comment: Sounds like you managed to create a nice pain free healing environment that is so important when the nervous system is barking soooo much!! Since Jan. I have gone to a couple of different chiropractors who not only use activator, they also use techniques to break down fascia issues. One thought that the major issue on big toe might have been capsulitis which also might be putting pressure on nerve. I also went to osteopath. He thought it was bursitis on big toe creating all the problems. Also went to 2 different individuals that specialize in chiropractor neurology. Their exam showed that the constant radiating pain had to do with pain center in brain not shutting off pain signals and my central nervous system had a hard time shifting to parasympathetic system. Also X-ray of foot and back where taken. No fractures in foot. I have spinal stenosis I believe at L4/5 which I understand can trigger pain in first/second toe(???). Also I do have a flat arch in the problem (left) foot. Dr Blake's comment: This is helping with the whole picture. The L4 nerve root goes to the big toe. If this nerve is irritated at the back, and then irritated at the foot, a "double crush syndrome" occurs and the nervous system is very unhappy. Practicing natural healing for decades, I have also done lots of remedies -- including vit. c, msm, an anti-inflammatory supplement with proteolitic enzymes, vit. B, B12, lion's man (medicinal mushroom for regrowing nerves), calc/mag + magnesium chloride (liquid and gel), comfrey compresses, castor oil compresses and the list goes on. I have also worked with feldenkrais practitioner and also try to stretch when id does not aggravate pain. Dr Blake's comment: Neural Flossing or Gliding is great and relatively new to physical therapy world. It is a gentle way to stretch the involved nerves, not allowing scar tissue or swelling to collect around them. On my blog I have a video of one sciatic nerve flossing technique. Since Jan. I have not been able to use my customized orthotics, as areas where raised, trigger pain so I have gotten a cushy "not customized" orthotic from Walking Shoe Company that molds to foot and provides arch support. That seems to work for now and does not trigger pain. Dr Blake's comment: This a great idea, you have to remove any abnormal nerve stimulation. I tried walking about 12 min. on dirt on Sunday (first time I tried to go for short walk) and couples of hours later I felt increased pain sensitivity. Not unbearable, rather a reminder something is still going on and simple activities still problematic. In Jan. pain level and intensity were probably a solid 10. now about 2-3 as long as I keep walking to minimum and not engage any other activities to aggravate it. Sorry about long email. Final comment .... being self employed, I have a very high deductible which essential means all of my medical expenses are paid out of my pocket. Unfortunately, that piece does enter the equation of what I can do. I am working on a lecture for podiatrists on the cast corrections of a patient that you want the heel to be placed at a vertical position. The orthotic laboratory will be given instructions on the amount of correction to be placed in the forefoot, midfoot and heel. This image is meant to start a conversation. These are the standard corrections I perform in making my orthotic devices on a weekly basis. My goal is to gradually teach the purpose for these, when to use, when to combine techniques. I saw the image of one of your braces on line and wanted to write you about my mother. She's 75 and has had RA since she was 40; she's 5'8" and weighs 140lbs. Last year she had a stress fracture in her right heel and had to wear a knee-high brace for three months; this threw her back out of whack and she incurred a compression fracture in one vertebrae due to the different heights of the walking shoe and the boot. Having finally recovered from that injury and started an exercise and weight-lifting program (very gentle and minimal), she is now facing another stress fracture in her left heel. Does she have any other options than the full-height boot? When analyzing how an injury occurs in most overuse injuries, a podiatrist will look at gait, muscle and tendon issues, and the specifics of an injury. 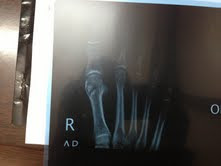 I have a too short first metatarsal due to surgery about 7 years ago. In addition, my second and third toes are longer than my big toe. Dr Blake's comment: A short first metatarsal is like removing the third leg off a tripod. If the first metatarsal is short, it tends to be above the ground, and as you move forward the lack of support on the first metatarsal will cause your arch to collapse. You can also develop a compensatory supinated gait which allows you to stay on the outside of your foot, but it is jarring to the knee, hip, and back. I was never able to walk correctly afterwards. My foot turns outward and now my second and third toes curve toward my big toe. Also, the tendon in my big toe may be too short now. There is pain under my knee on the same side as the tendon in my big shortened toe. Thank you very much for the video on spica taping for big toe joint pain. I had a family member spica tape my big toe last night and oh what relief! I was able to walk better today than I have been for a long time. I am now in the situation where I need both knee and foot surgery. Can you give me your thoughts about whether I should have knee replacement surgery or foot surgery first? Is there a correct order in which to proceed? Dr Blake's comment: Foot surgery typically requires a period of weight bearing on the tibia with a device called a RollaBout. You I am attaching a video I did of the device. If you think that your knee can tolerate that for several months, do the foot surgery first. However, we mainly recommend to our patients to have the knee surgery first since the walking is so limited for 3 months, and then when the knee can tolerate the RollaBout, go ahead with the foot surgery. Also, are there any other things I can do to provide relief while walking? Any thoughts on surgical procedures that may help and non-surgical things that I could do that may help. Thank you very much again for the spica taping video. Thank you very much for responding to my email on your blog. I appreciate this. I am trying to find my way in order to fix my foot problem. It hasn’t been easy. My too short metatarsal is causing me to walk on the outside of my foot and my knee is bone on bone on one side and my hip hurts too. I have what you called “supinated gait” and this has done damage to both my knee and hip. You are “spot on” with what happened to me. It has been very confusing for me, since each doctor has proposed a different solution to fix my foot. Also, I need to keep on working to bring in a paycheck. I don’t know which procedure would work best for me since I am not a doctor and each person is proposing something different. Do you have any insight on which procedures tend to work best to fix a foot with a problem like mine? Does a metartarsal fusion with bone graft usually work to solve a problem like mine? I am afraid to have the joint fused permanently. Of the patients you have seen with a problem like mine, what procedure seems to help them best? Do bone grafts usually fail? I am afraid that the fusion will affect my gait. However, I am not walking very well now. That spica taping is helping me walk. I've been reading your website/blogs for the past 5 months waiting for my right foot injuries and fractures to heal. I'm completely confused about what's going on with my right foot and can't get any straight answers from my doctor. The night I got injured, I guess I lifted my right foot a little higher than usual (I had fallen asleep on the couch) and my toes caught on the decorative and rough transitional tile on our floor causing all of my toes to completely bend under my foot while my body was still in the forward gait movement. I felt pain across the top of my toes (which is weird because the top of my foot shouldn't be on the floor) and when I went to complete the step and put my foot down, the pain was incredible. I fell forward and caught myself on a table before falling to the floor. My foot was in agony and I could not put any weight on my right foot. There was a lump on the side of my foot (base of 5th metatarsal) and cuts across the top of the 4 lesser toes. I guess my toes got crushed under my foot from my weight dragging across the tile floor. Dr Blake's comment: All of the tendons that go into the tops of the toes would have been over stretched giving you the pain on the top of the foot and even into the front of your leg. When my husband took me to the doctor and x-rays were taken, he told me I did have a fracture and then said "multiple" fractures. He said I fractured the base of the 5th metatarsal and called it a styloid process fracture. He didn't say where the other fractures were. He also said I sprained my ankle. He never checked my toes or forefoot. He said I had an easy fracture and I'd be good to go in 6-8 weeks. He gave me a walker boot and said to ice and elevate as much as possible. Dr Blake's comment: This is a common problem in medicine. The most obvious injury is recognized, but we all know that the golden rule is "It is better to break a bone, then sprain a ligament." You probably have a lot of soft tissues sprains and strains. This is such an unusual injury, that no specialist will have much experience with it. I had been brought into his office in a wheelchair because I couldn't walk and didn't have crutches, so I was surprised that he thought I could put that boot on and walk out of there. My husband told him again that I could not put any weight on my foot and asked him for crutches and he told us that if we really thought I needed them we could purchase them ourselves at a medical supply store. After 4 weeks, new x-rays, and he said fractures (plural) were healing and to get out of the boot and put a sneaker on. What? By this time my foot was 3 times the normal size and the top of my foot under the skin was blue across all the metatarsal bones. The swelling on the bottom of my foot was horrible - my toes never touched the floor - and I couldn't bend any of my toes. When we pointed this out to him that my foot was getting worse and we were worried about lack of circulation, he told me to wear a post-op shoe instead of a sneaker. He forgot about the ankle sprain and I never was able to wear the post-op shoe because of the pain in my ankle. Seriously. Dr Blake's comment: Okay, he/she is clearly treating mentally only one part of the injury. If the metatarsal fracture was the source of all your problems, you would be fully pain free weight bearing by this point. Definitely, you need an MRI to make sense of the soft tissue part of your injury. At 8 weeks, my foot was now 4 times it's normal size, still blue under the skin across the metatarsal bones, bad pitting edema, tension and strain in big toe, 2nd toe and 3rd toe. The 4th and 5th toes seemed dead, still can't bend them, and there was a horribly painful spot between the 4th and 5th toes on the bottom. Doctor took new x-rays and said all the fractures were healed. He said the biggest fracture still needed a little more time but it was basically healed. He said to put a shoe on and walk. Now I'm thinking I'm crazy. Why doesn't he see what my foot looks like and that it's ice cold! He still did not check any of my toes or my forefoot or my entire foot and ankle. He was basing everything on the x-rays and the "protocol" for the type of fracture he said it was. He went on vacation and my foot got worse so his office had us see another doctor. Dr Blake's comment: Hooray!!! 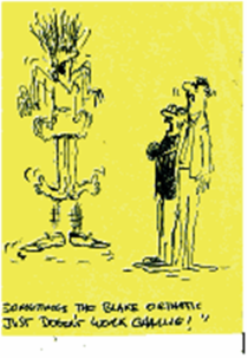 As patients, we have to be our own ombudsmen. All doctors, including myself, get tunnel vision sometimes. Many times I am shocked when at a followup visit I thought the patient would be perfect, and they were much worse. So, that is when you have to look deeper, and look for something else. 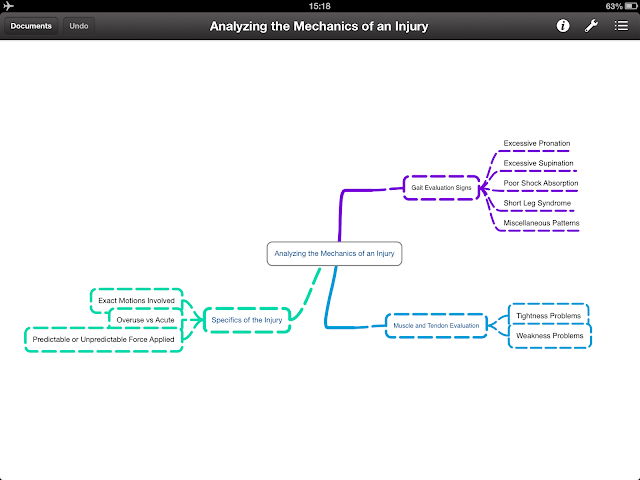 Unfortunately, when you look at treatment plans in text books, they mainly talk about one injury at a time. This is difficult when patients present with injuries, like yours, that can have 6 or 7 different injuries at once, some needing different treatments. He said I had a couple fractures at the base of the 5th metatarsal and one was a Jones. He ordered an MRI and told me start non-weight bearing. The MRI said transverse fracture going all the way through the bone was UNHEALED. I was told to stay non-weight bearing and start bone stim. Nothing was done about the pitting edema in my foot or the circulation. The 2nd doctor didn't check or touch my foot either. We asked the doctor what he was going to do about immobilizing my foot to keep it from moving and from me hurting it. He gave me an ankle tubigrip thing. How was that going to protect my foot? He said I was non-weight bearing so I didn't need anything but that. I didn't understand why they weren't doing anything about the circulation issue and swelling in my foot so my husband took me to a local medical supply place and they recommended a knee high compression stocking to wear. After 3 days, the swelling and pitting edema was a lot better on top of my foot. Dr Blake's comment: At least you are starting to move in the right direction. Jones fractures may not heal and could require surgery. You need to find a doctor who does that type of surgery that you trust. We know you have a Jones Fracture, but you also have swelling out of control, and other soft tissue injuries. Did the MRI speak on any injury at your toes/tendons/ligaments? Remember, swelling is made worse by removable boots, non weight bearing, pain, improper compression, so there are a lot of normal things that can be making the swelling linger too long. I am always fighting getting the swelling under control. Swelling is our enemy, it definitely slows healing, and makes the pain in an injury last longer. So, perhaps a good physical therapist could review things for you and start a better program of combatting the swelling. The swelling across the metatarsals on the bottom of my foot, the tension and strain through my first 3 toes, can't bend toes, etc. still a problem. And the head of the fifth metatarsal bone is very painful. They haven't checked to see if there are stress fractures in any of my toes or the other metatarsal bones. Every time I bring up the issue of my toes not being able to bend and the stress and tension through my toes, he tells me there's nothing wrong and there's no soft tissue injury because the MRI would have shown it. Of course, he won't physically touch my foot to check for himself. I've been dealing with this since March 18th and have been non-weight bearing for over 3 months now using the bone stim. Dr Blake's comment: I have many patients leave me for various reasons, some I am very sad about. I probably order more second opinions on my own patients than any doctor in my practice. Why are you staying with this group? Why not at least get another opinion? I would have had at least 2 by now. I have no idea if the fracture(s) is healing and no idea how much longer he plans on keeping me non-weight bearing. If he has a "plan" he's not sharing it with me. Like the 1st doctor in his office, they have tunnel vision about the base of the 5th metatarsal fracture and are blind to what else is going on with my foot and ankle. I'm a prisoner in my house because I can't walk or drive. I can't be up using the crutches more than 5 minutes because my left hip now gives out on me. This seems really crazy and not normal. I would truly appreciate any suggestions you might have. I have the digital x-rays that were taken and would be happy to e-mail them to you if you would like to take a look. Again, any help would be greatly appreciated to stop this insanity. Thank you. I've getting very desperate, because nobody is able to tell me what is wrong with my foot! One doctor said it was a neuroma, so he gave me 3 cortisone shots, and it didn't work. Another was honest enough to say he has no idea, so he sent me to therapy. What I've noticed is that on my left foot, I seem to land on the outside of my foot when I'm walking. However, it only seems to happen when I am wearing foot wear. ANY footwear. Tennis shoes, flip flops, or ballet flats. When I'm barefoot, it seems to not be a problem. This seems like supination from what I've read in your blog. But why is it only an issue if I'm wearing shoes? Thank you for the email. Shoes typically take you more a more flat footed position to a more supinated position in a normal to pronated patient, and the opposite for supinators. Of course, if shoes place you right on where you are sore, you need an orthotic interface between the foot and shoe to make off weighting changes. That is normally attempted in athletic shoes first, dress second, sandals with removable inserts third. Flip flops if they are causing you problems need to be avoided until the inflammation is calmed down. What to do now? It seems like you need some testing, like xrays and MRI, to analyze the problem. A second opinion may be good, but that does not mean you have to switch. Try to create your own pain free environment analyzing the best foot wear at this point. Experiment with various OTC inserts to see if you can discover what protects your foot the best. Ice your foot for 10 minutes 3 times daily to reduce any inflammation. I am a 32 year old female whom recently started getting sharp stabbing pain under my big toe (not the large joint but the one in the first bend of the toe). I was diagnosed with an elevated first ray in my left foot and slight elevation in my right. I have some Hallux Limitus in the left so far, along with Hallux Valgus. Dr Blake's comment: When the big toe joint has some limitation, then movement may be increased in the joint in front of (your painful area) or in back of (in the arch). 1. I am wondering what you would recommend for my particular condition? Dr Blake's comment: You need to experiment with circumferential taping of the toe across the sore joint 24/7, padding either below (to bring the ground up), or to the side (classic dancer's pads), icing 2-3 times a day, figuring out if there are shoes that make it feel better (more padding, less flexibility, or more flexibility, etc), and cut out for the next several months activities that irritate it. I would at least get xrays to evaluate the area. Dr Blake's comment: I hear about preventive surgery, but I personally think that is mainly an oxymoron. 3. What brands of shoe would you recommend? Dr Blake's comment: You really have to play with this one. You have 5 parameters to deal with in a shoe, and some combinations will be the best. Set no preconceived notions. The 5 parameters are: padding, flexibility, width, toe box space and length. 4.Can I still wear sandals so long as they have a back strap? Dr Blake's comment: Sandals, like any footwear, are fine if they do not increase the symptoms. Listen to your foot. 5.I did stop trail running, as I don't want to end up crippled in my old age. I really appreciated coming across your site. No one seems to pay attention to this problem and it is terribly life-altering. I am devastated and having a hard time coping. I used to love running and being very active, so this is quite the blow, esp at such a young age. I appreciate any help you can offer. The doc hasn't told me how severe my condition could get. I do have my x-rays. Could I send those to you and get your opinion?